First Minister Nicola Sturgeon travelled to Canada on the fourth day of her visit to North America. 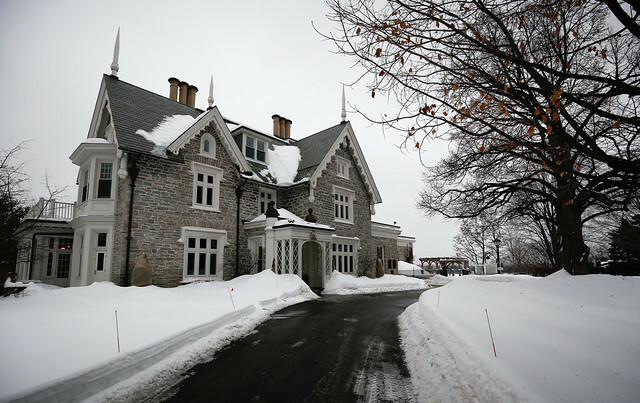 Heavy snow in in Ottawa meant some flights into the city were cancelled, slightly curtailing the First Minister’s programme in the city. On arrival in the city, she hosted a Scotland is Now reception to officially launch the new Scottish Government office in Ottawa and to launch the global marketing campaign to a Canadian audience for the first time. She was joined by Scotland’s national chef Gary Maclean and GlobalScot chef John Higgins who cooked a range of dishes to showcase Scottish food and drink. The menu featured the best of Scotland’s food and drink which is available in Canada, including Scottish langoustines, smoked salmon, Scotch Beef, haggis and a selection of Scottish cheeses. Our new office will encourage investment between businesses in both countries and promote Scotland as a place to work, study and visit. The First Minister will be in Toronto for the final day of the visit where she will open the stock exchange and will visit West Neighbourhood House social enterprise.